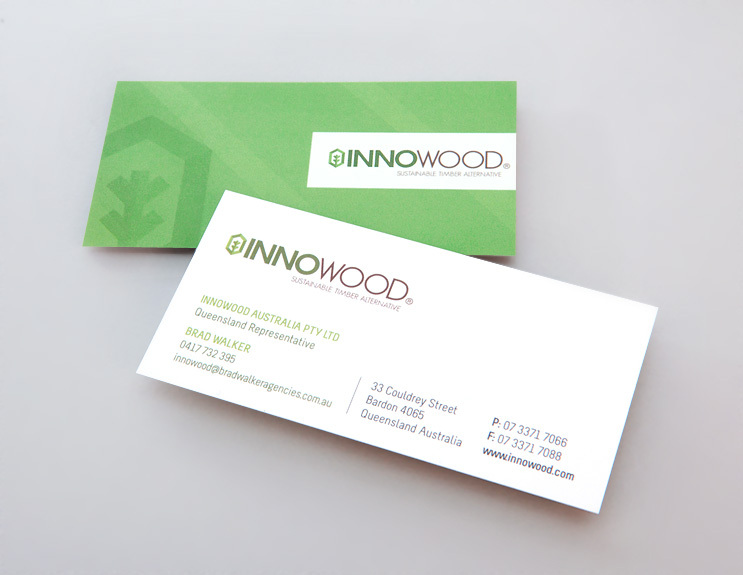 We were commissioned by Innowood to assist with branding their sustainable timber product. Inspired by the clean architectural lines the product creates when in use and the sustainable ‘technology’ of the product itself, we created a logo and icon system to be used across all mediums. Angular letterforms contrast with perfect circles, illustrating both the ‘construction’ purpose for the product as well as the sustainable recycling technology behind the product.